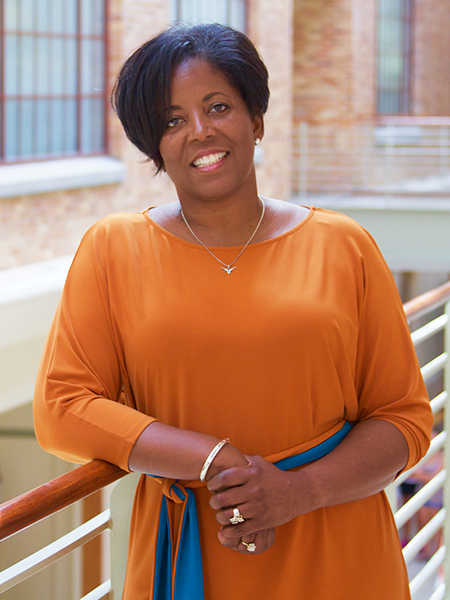 Dr. Soncia Reagins-Lilly began serving as vice president for student affairs and dean of students at The University of Texas at Austin in September 2016. She collaborates with students, faculty and staff to help create a safe and welcoming campus where students can thrive through healthy learning environments. Dr. Lilly joined The University of Texas at Austin as senior associate vice president for student affairs and dean of students in April 2006. She leads a diverse portfolio of nine departments in the Division of Student Affairs that are dedicated to providing a cutting-edge student experience from orientation through graduation. The Division includes 14 on-campus residence halls and their dining facilities, medical and mental health services, new student orientation, recreational sports and two university unions. The Division also supports 1,100 student organizations, student emergency and veteran services, and leadership programs. As a College of Education faculty member in the Department of Educational Administration, Dr. Lilly serves on the Graduate Studies Committee, co-chairs dissertations and teaches graduate level courses, helping to shape the next generation of higher education professionals. For over 30 years, Dr. Lilly has been committed to helping students have a successful college experience. She began her career as a student union program coordinator followed by progressive leadership roles in student affairs at major universities. Before joining UT Austin, she served as assistant vice chancellor of student affairs administration at the University of California, Los Angeles. Active in the community, Dr. Lilly is on the board of trustees for St. Michael’s Catholic Academy. She also served on the Caritas of Austin Community Advisory Board and the Austin Child Guidance Center Board of Directors. A graduate of Leadership Texas, Dr. Lilly is a member of American Association of University Women and Alpha Kappa Alpha Sorority, Inc. She has a son and daughter. Dr. Lilly earned a bachelor's degree in economics at The University of California at Irvine, a master's in education at California State University, San Bernardino, and a doctorate in education administration at the University of Southern California.